Gills free, crowded, thin, relatively narrow, at first pinkish, then pale greyish-brown, finally dark-brown; lamellulae up to 4-seried. Stipe 3-5 cm long, 4-7 mm thick, stuffed at maturity, usually equal but occasionally with a small basal bulb or enlarged at the apex; surface silky-fibrillose, pallid, becoming tawny-brown with handling or in age; partial veil two-layered, consisting of small floccose scales over a thin membrane, rupturing to form an inconspicuous, pendulous, superior ring, in age appressed to the stipe. Spores 4.0-5.0 x 3.0-3.5 µm, broadly ellipsoid, smooth, thick-walled, hilar appendage inconspicuous, germ pore not evident, many spores with a dark central body; spore print dark-brown. Solitary or in small groups in watered, grassy areas; fruiting from late summer to early fall; rare. Agaricus comtulus looks like a diminutive Agaricus arvensis. 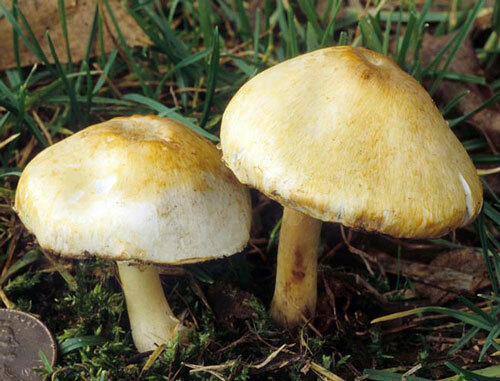 Similarities include a cream-colored cap that yellows slowly, a sweet anise odor, and a grassland habit. Unlike its larger cousin, however, Agaricus comtulus is rare, at least in the San Francisco Bay Area. It sometimes fruits with Stropharia coronilla, a mushroom with which it bears an uncanny resemblance both in size and color. The latter can be distinguished by attached gills, lack of an anise odor, and an annulus with a distinctive striate upper surface. Agaricus micromegathus is another uncommon, grassland species. 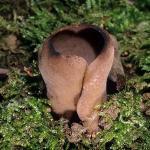 It is similar in size to Agaricus comtulus, yellows slowly, and is anise-odored, but according to Kerrigan has a cap which when young has "pinkish-red fibrils that darken to grey-brown" in age.